Hi, I'm Pat Bekeris with Re/Max Ridge Realty. Welcome to my website! There are many reasons to make Mesquite, NV your home. First and foremost, we have fantastic weather - boasting an average of 330 days of sunshine a year! Add to that our amazing air quality, spectacular mountain ranges, and beautiful mesa views. Mesquite also has 8 beautiful golf courses, one of which was rated #1 by Golf Digest Fans in 2011! What more can you ask for? 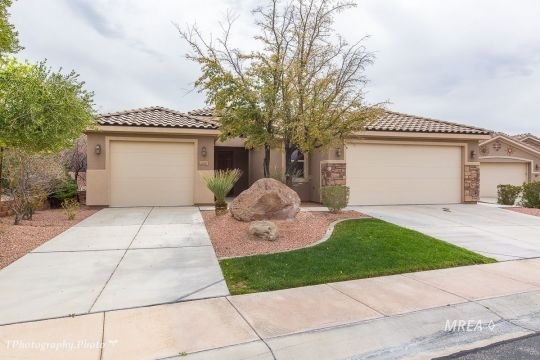 Mesquite is conveniently located on I-15 just 80 miles northeast of Las Vegas, NV and 40 miles southwest of St. George, UT. We are just 1 hour from the entertainment capital of the world! Our outdoor activities are endless! We are within short driving distances to several national parks and lakes. Local activities, aside from golf, include: swimming, hiking, biking, skydiving, and 4-wheeling. We have entertainment, shopping, and an assortment of restaurants and sports bars. We also have fine dining in our casinos. In the fall, Mesquite is host to the annual Re/Max World Long Drive Championship with competitors from all over the world! You can find a listing of all current local events on my calendar under the About Mesquite tab located above. I am the listing agent for Bella Horizon Estates (offering 72 spectacular custom home lots) and Royal Vista (offering 97 semi custom built homes). You can learn more about these two developments by clicking on the tabs above. Feel free to contact me if you have any questions or are ready to start looking for your next home. I specialize in both new construction and resale residential real estate, and I would love to help you find the perfect home! You can reach me directly at 801-694-4567 or email me by clicking here. I look forward to meeting you and helping you make Mesquite your next home! If you are interested in moving to Mesquite, NV, there are two spectacular locations you absolutely have to consider! a call at: (801) 694-4567.